The keynote address will be made by Ataul Mujeeb Rashed, Imam of The London Mosque. THE Ahmadiyya Muslim Association in Bradford will host a forum to promote peace on Sunday, May 10. 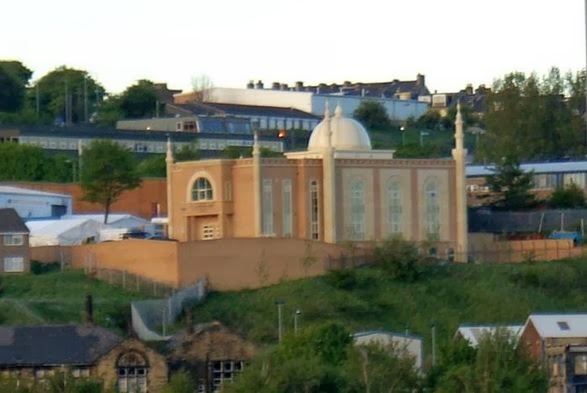 The event, entitled Wars in the Name of Religion – Can They Ever Be Justified?, will take place from 2pm at the Al Mahdi Mosque on Rees Way, Bradford. [AT] Ahmadiyya Muslim Community, a reformist and fast growing international revival movement within Islam, is now the largest organised Muslim community globally and makes an active contribution to civic life everywhere it is extablished. Founded in 1889, the Community spans over 206 countries and territories with membership exceeding 160 million. Share the post "UK: Bradford Ahmadiyya Muslim Community organizes religion and wars forum"